A conversation with Paul Myburgh, who lived for seven years with the Bushmen, about communication and relationships in the context of spiritual growth. We explored how the space between us is where we grow, and why we are so challenged from our relationships. The art of real listening, that has a spirituality to it. Paul Myburgh, a multiple award winning documentary film maker and anthropologist, has had a life-long commitment to Africa that transcends the boundaries of politics and ideologies. This became evident years ago when he spent seven years of his life living amongst the !Gwi Kalahari Bushmen, becoming an integral part of this ancient African culture. A result of this dedication was an internationally acclaimed documentary, 1985 ‘People of the Great Sandface’ produced for SURVIVAL ANGLIA UK. Widely regarded as a classic, this remarkable ethnographic study has won many awards and firmly established him as a respected film-maker world wide. 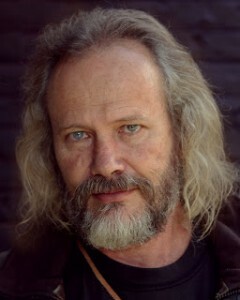 He is also the author of the recently published book, “The Bushman Winter Has Come“. This book reveals the life lessons from those seven years of his life spent living amongst the Kalahari Bushmen . . . a life which has been a study of the human journey between heaven and earth, an immersion into what it means to be human. His other achievements include a twenty-year involvement in South African Palaeoanthropology, and exclusive media access to the discovery and excavation of the famous ‘Little Foot’ fossil skeleton at Sterkfontein … a world first! He is currently filming and writing of this story of the “Little Foot Excavation” in The Cradle of Humankind. Myburgh’s expertise and experience, however, extends far beyond ethnography. He did pioneering work in the television field of ‘black’ music in South Africa and documentaries on the critical issue of ‘black education’ in South Africa – the disparities and the ramifications. He directed and photographed numerous music documentaries and was the Producer, Director, Editor, and DOP for DISCOVERY Channel, USA. He was also the Producer, Director, Editor, Writer & narrator for NATIONAL GEOGRAPHIC Natural History, Washington USA. and won awards for ‘TALON – The story of a true Eagle’, a special for National Geographic Television..
Myburgh lectures on the First People by invitation at Schools, Universities and specialist institutions throughout the world. He also offers private breakthrough sessions for individuals, and motivational talks for groups.